In 2017 I came across a very rare find, one I had never seen anywhere in any reference. The find was in a French magazine named Le Regiment, from Thursday, May 23, 1918. 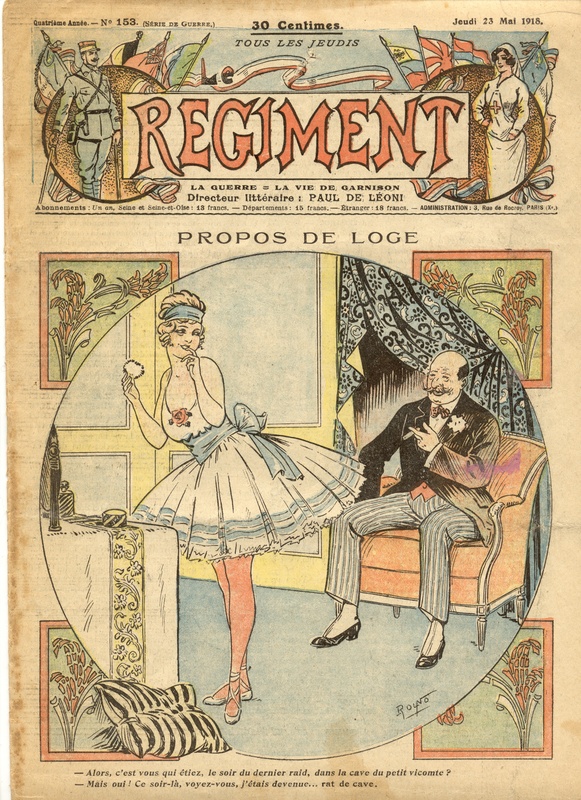 Le Regiment was advertised at this time as a “humorous magazine for the troops,” along the lines of a much more amusing Stars and Stripes. …un jeune marin de la flotte de l’Oncle Sam, d’ailleurs artiste dans la vie civile et qui avait la spécialité de ces travestis féminins. 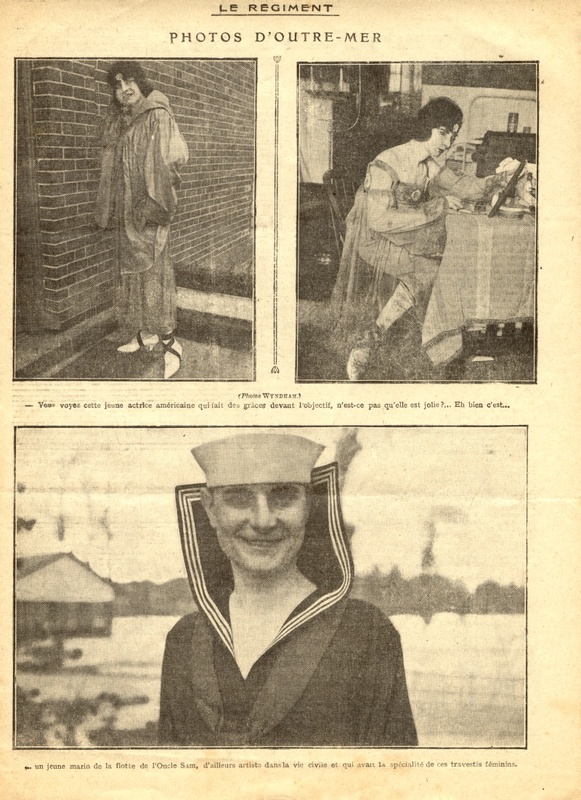 … a young sailor from Uncle Sam’s fleet, who is also an artist in civilian life, and who is one of these female transvestites. My French translation is strained in the last sentence, but I believe that’s pretty close. Note that in that era, “transvestite” has many meanings, encompassing transgender and gender non-conforming persons. I searched through the magazine and found no other references to or information about the person in question, so they may be forever a mystery. Nonetheless, you can see them here on Transas City. In each of the images below, you can click on the image to view the high-resolution photograph (be warned, these are HUGE files). If anyone has any extra information about these images or the person featured, please let me know.